Take the performance and Body Geometry ergonomics of our high-end road shoes, put them in an affordable design, and you basically have the Men's Torch 1.0 Road shoes. 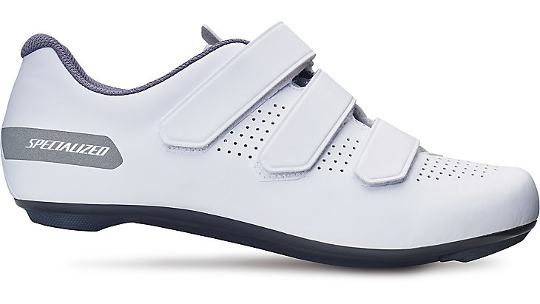 They have Velcro® closures for a customizable, adjustable fit, a comfortable design, and a composite outsole that provides just the right level of rigidity. Synthetic upper with mesh venting providing a supple feel over the foot. Three-bolt and two-bolt cleat pattern fit all major road and mountain pedals.